As we enter 2014, we wanted to take a moment and recap the eventful year we had here at Knowmedge! It’s not easy to recap everything that’s happened in our first year but we want to do our best to summarize this. Over the past eight months, we have been so fortunate to have been able to interact with so many of you – whether it’s through email, social media, or phone. Every interaction has helped us grow and, in some cases, truly changed our path. Still, our goal today remains what it was at the time of our launch: to do whatever we can to help you learn and successfully pass the internal medicine boards. Internal Medicine QBank Launch: We officially launched our Internal Medicine Question Bank in April 2013. At the time of launch we had 750 questions on our platform. Currently we have over 900. In addition to the increase in content over time, we have also made enhancements to the platform. To date, the most popular features remain the videos that come with every question as well as the associated printouts. eBook #1 (Internal Medicine Practice Questions): The Knowmedge Internal Medicine Practice Questions eBook was released in May 2013 containing 50 board review practice questions from the Knowmedge QVault. The Internal Medicine Practice Questions book was originally launched as an eBook in PDF format. The book was subsequently released through iTunes, Google Play, Kindle, and Nook. eBook #2 (High-Yield Internal Medicine Board Exam Pearls): We launched our second eBook in December 2013. This new eBook is the culmination of all of our High-Yield Internal Medicine Board Exam blog posts. We are currently working to get this up in digital format for iTunes, Google Play, Kindle and Nook. iMedicine Review: In November 2013, we announced the addition of Dr. Shahid Babar to our advisory board. Dr. Babar is an associate professor of Medicine at Lancaster General Health. He is also the founder of iMedicine Review, an ABIM Internal Medicine Board Exam Review live course. Dr. Babar’s addition to the Knowmedge advisory board is a wonderful addition for us – his dedication to improving medical education aligns perfectly with what we are trying to accomplish at Knowmedge. We are certainly looking forward to working closely with Dr. Babar in 2014 and beyond. FTPLectures: Have you seen the FTPLectures YouTube Channel? If so, you can see why we are so excited about our affiliation with Dr. Adeleke Adesina of FTPLectures. Putting it simply, he is a one of a kind and his enthusiasm for medical education and medicine in general is contagious! His YouTube videos have been viewed over 3,000,000 times now! Like Dr. Babar, Dr. Adesina shares a passion for medical education and we’re truly excited about working with him to bring about a change in medical education. USMLEQuickPrep Step 1 Question Bank – Entering the USMLE Question Bank space fits into exactly what we want to do – improve an outdated method of studying. We searched for a while to find a partner when we came across USMLEQuickPrep, a question bank for the USMLE Step 1 exam. The Step 1 practice questions on USMLEQuickPrep are of the highest quality – written by 18 MDs and PhDs. The issue is, as the USMLEQuickPrep team, admitted is the platform is outdated. We are now looking forward to the opportunity to work with and improve the USMLEQuickPrep platform to develop the absolute best USMLE Step 1 Question Bank. #ABIMTweetShow: For those on twitter, you are likely aware of the #FOAMed hashtag. FOAM stands for Free Open Access Meducation. It’s a movement that intends to help spread medical education to help us all learn from each other. It was already happening through blogs, tweets, youtube videos, podcasts, medical images, facebook, google communities, pinterest and a whole lot of other sources. #FOAMed is just helping bring it all together. And we’ve taken the concept of FOAM to heart. In addition to the eBooks and medical education blog posts, we decided we wanted to use twitter in our own way to help spread #FOAMed. And thus we developed the #ABIMTweetShow. Since early May, we have been hosting a medical trivia every Sunday (Currently at NOON EST) where we ask our followers 10 questions. 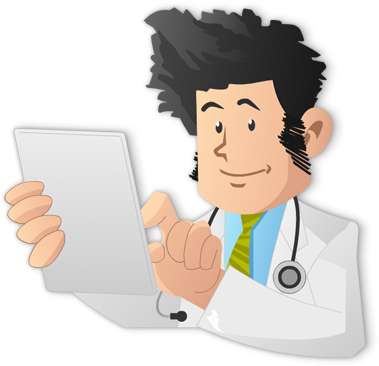 To date, we have asked over 750 internal medicine flashcard questions to our followers. The participation continues to grow every week and we are looking forward to continuing this in 2014. Team Growth: When we launched Knowmedge in April 2013, the team consisted of 6 members. We are now up to 16 members and growing! This growth has allowed us to continue to add more content to our Internal Medicine QBank, as well as continually update our blog with new medical education posts. Our team members come from a wide range of backgrounds. We love the diversity of thought that comes with bringing on people even outside Internal Medicine. Though we’re a diverse group, we all have one characteristic in common – all of us have a passion for education! Enhancements to the learning platform: When we launched Knowmedge, we made a commitment that we would not let our platform become outdated. Our goal is to make sure we develop the most up-to-date tools for our subscribers to learn. We have been studying how students interact with our platform and what enhancements will enrich their learning. We are already in the process of making major feature upgrades and anticipate announcing them sometime in the first half of 2014. Partnerships: We are in discussions to develop partnerships and affiliations with other companies in order to continue to grow and improve medical education. We anticipate announcing at least a couple of them in the first half of 2014. Stay true to our mission: We are certainly going to be busy in 2014 and we anticipate a lot of changes over the next 12 months. However, what we will not change is our mission and commitment to helping our subscribers and followers pass their internal medicine board exam – or any other exam. We recognize that the Knowmedge OnCall feature, where subscribers can ask our MDs and question writers any questions they have, has been a helpful tool. We will continue to respond to all queries within 24 hours. In addition, we value and will continue to value every interaction we have with our followers on twitter. Our goal is to make sure we help you in any way possible because we absolutely love getting testimonials and feedback from you!